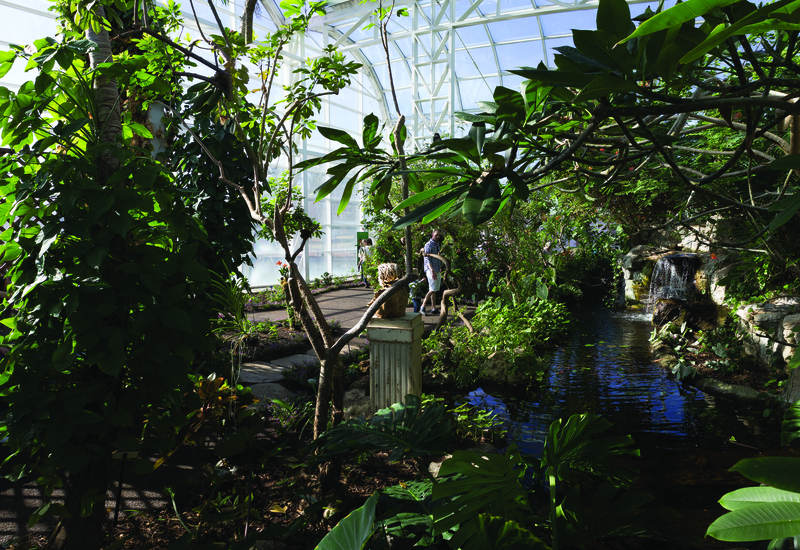 Mingle with more than 60 species of butterflies in an 8,000-square-foot conservatory. 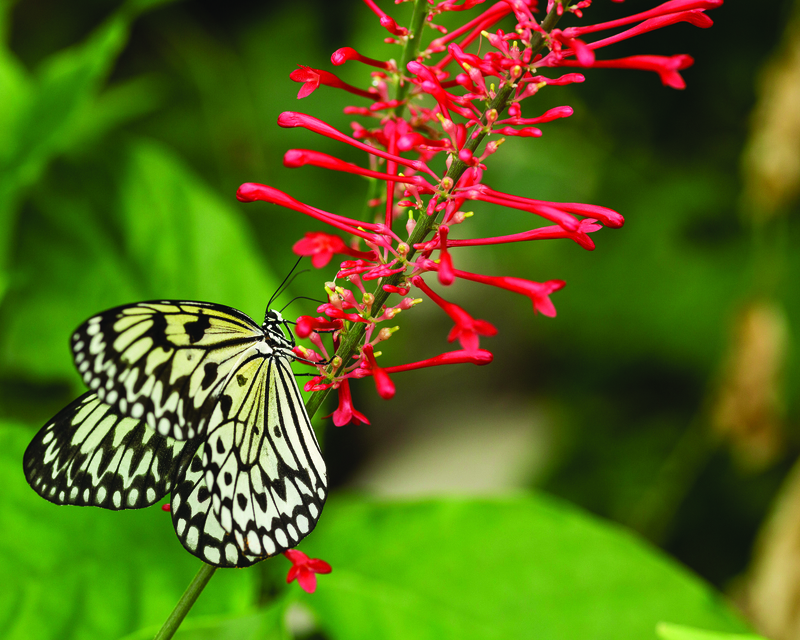 The Sophia M. Sachs Butterfly House, a division of the Missouri Botanical Garden located in St. Louis County, opened to the public in 1998. It features an 8,000-square-foot glass conservatory where visitors mingle with more than 60 species of the world’s most beautiful butterflies in free flight. The conservatory is lushly planted with nearly 100 species of exotic flowering tropical plants and is sheathed in 646 pieces of glass, each measuring 4 by 6 feet and weighing approximately 200 pounds. The center vault, soaring to 36 feet high at its apex, is one of five vaults designed to minimize visual (and flight) obstruction. Visitors see enormous species diversity including huge iridescent blue Morphos from Costa Rica, the Ruby Lacewing from Malaysia and the Golden Birdwing from the Philippines. The Miracle of Metamorphosis display exhibits chrysalides with butterflies emerging as visitors watch. A visit to the Butterfly House is not only exciting and educational, but it promotes environmental stewardship through example. An additional 8,000 square feet of interior space is devoted to living exhibits, classrooms and visitor amenities.